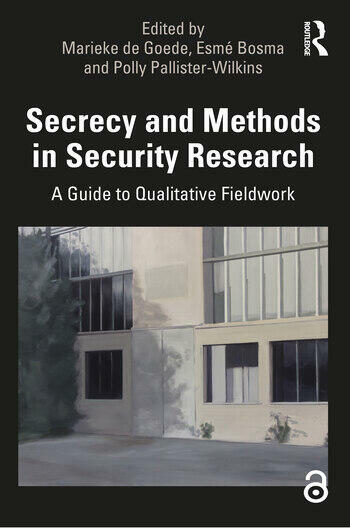 This book analyses the challenges of secrecy in security research, and develops a set of methods to navigate, encircle and work with secrecy. How can researchers navigate secrecy in their fieldwork, when they encounter confidential material, closed-off quarters or bureaucratic rebuffs? This is a particular challenge for researchers in the security field, which is by nature secretive and difficult to access. This book creatively assesses and analyses the ways in which secrecies operate in security research. The collection sets out new understandings of secrecy, and shows how secrecy itself can be made productive to research analysis. It offers students, PhD researchers and senior scholars a rich toolkit of methods and best-practice examples for ethically appropriate ways of navigating secrecy. It pays attention to the balance between confidentiality, and academic freedom and integrity. The chapters draw on the rich qualitative fieldwork experiences of the contributors, who did research at a diversity of sites, for example at a former atomic weapons research facility, inside deportation units, in conflict zones, in everyday security landscapes, in virtual spaces, and at borders, bureaucracies and banks. The book will be of interest to students of research methods, critical security studies and International Relations in general. Marieke de Goede is Professor of Political Science at the University of Amsterdam. She is author of Speculative Security: the Politics of Pursuing Terrorist Monies and Associate Editor of Security Dialogue. She currently holds a Consolidator Grant of the European Research Council (ERC) called FOLLOW: Following the Money from Transaction to Trial. Esmé Bosma is a doctoral candidate at the Department of Political Science of the University of Amsterdam. For her research project she has conducted field research inside and around banks in Europe to analyse counter terrorism financing practices by financial institutions. Her research lies at the intersection between (critical) security studies and science and technology studies. She has taught qualitative research methods to political science students and holds a Master degree in Political Science from the University of Amsterdam. Polly Pallister-Wilkins is an assistant professor in the Department of Political Science, University of Amsterdam. She works at the intersection of critical security studies and political geography researching the interrelations of mobility, border control and humanitarianism. Her work has been published in Security Dialogue, Political Geography and International Political Sociology amongst others. She is a principal investigator in the European Union Horizon 2020 project ‘ADMIGOV: Advancing Alternative Migration Governance’ looking at issues of humanitarian protection in wider systems of migration governance.